I ♥ Motherhood: See Ben and Holly Live - Family Ticket Giveaway! 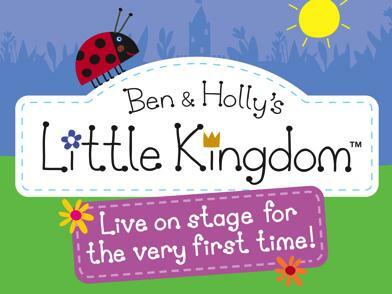 From the makers of Peppa Pig and the producers of the two hugely successful Peppa Pig theatre tours comes the first ever stage version of the BAFTA award-winning TV animation, Ben & Holly’s Little Kingdom. And I have tickets to give away! We love Ben and Holly in our family - Cousin M up till recently insisted it was Ben and Polly, even when we insisted it wasn't. I personally also love the show, Nanny Plum being my favourite character - so dry and great opposition to the Wise Old Elf. We will be seeing the show at the end of October, so look out for our review. In case you've been living in a cupboard for the past few years The Little Kingdom – where everyone is very, very small – is home to Princess Holly and her best friend Ben Elf. Holly is a young fairy princess who is still learning how to do magic properly and sometimes her spells don’t work out quite right. Ben is an Elf. Elves don’t do magic but they are very good at making things. Ben doesn’t have wings like Holly but he flies on the back of Gaston the Ladybird. To enter please submit your answer to the question below in the comments box, with a way of contacting you (email/ twitter ID). If you're successful I will be in touch to find out which venue and performance date and time you would prefer. 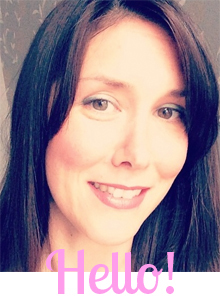 For an extra entry please tweet "I have entered the @benandhollylive giveaway on @iheartmuthahood blog" and please leave an extra comment below to say you have done so. Giveaway closes on 30th September at midnight. I've tweeted @meedja as well.